As a result of a significant Fugro technology achievement, users of its G4 satellite correction service will be among the first in the world to benefit from Galileo’s much anticipated “initial services” launch. This week Fugro further extends its technology position by taking full advantage of Galileo’s operational milestone. The launch of Europe’s satellite navigation system’s new ‘initial services’ capability means that all Fugro’s G4 satellite correction service users will instantly benefit from much greater accuracy and reliability. Fugro’s G4 service, launched in February 2015, was the first to utilise all available global navigation satellite systems (GNSS) – GPS, GLONASS and BeiDou. From its launch date the service was prepared for Galileo, and Fugro’s G4 users now have access to almost 80 satellites from the four GNSS systems – a significant advantage when line-of-sight to certain satellites is obstructed by offshore structures. 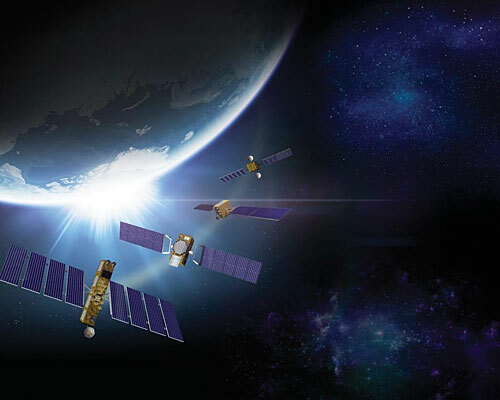 Fugro’s G4 augmentation signals are transmitted via seven high-powered communication satellites, to provide at least two independent broadcast channels anywhere in the world. Customers will be among the first in the world to benefit from the launch of the new Galileo Initial Services. Fugro was the first to market with G2 (the US’s GPS and Russia’s GLONASS systems) in 2009, and then first to add the Chinese BeiDou system in 2015.